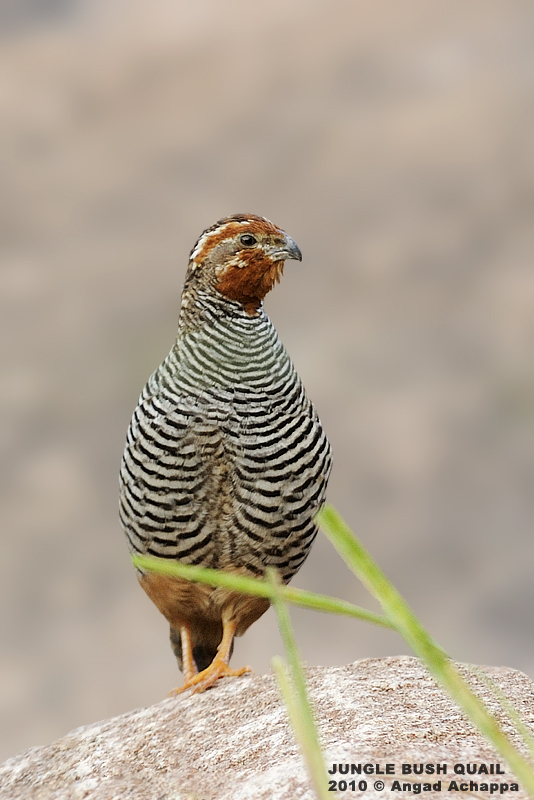 The male is very easily distinguishable from the female, as the male has heavily barred underparts. 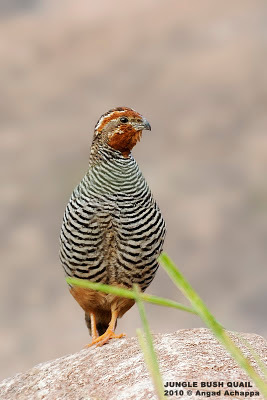 Jungle bush quails mainly feed on seeds, especially of grasses and once in a while feed on insects. i have never seen this bird :) as usual, the photograph is great! Wonderful photo! And so great color on this bird. Never seen it before..
First off, please feel better very soon and this is a very wonderful image! Take care mate and try to get better soon. That picture is wonderful! Striking photo. Boy, you really were sick!